200-plus public sector Identity, data and security professionals are registered to attend on November 29th from nearly 70 different central and local government departments – with interest from public sector departments across Europe (and wider), with attendees registered from France, Norway, Denmark, Estonia, Ireland and Nigeria. Have you confirmed your place at Think Digital Identity For Government 2018 yet? In just two short weeks – Thursday, November 29th – the premier conference and expo on all things Digital Identity opens its doors. The question is – have you made sure you can come along? We ask because if time’s running out to secure your place at Think Digital Identity for Government 2018. Just think – if you are at all interested in where the country is going Digital Identity-wise past the recently-announced decision on the future of GOV.UK Verify, then you’ll miss the chance to hear key central government stakeholders on stage explaining their current strategic plans for such services. 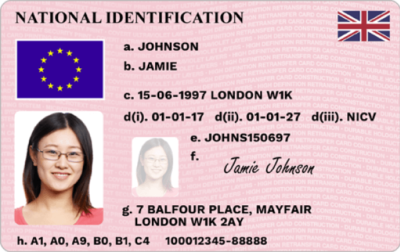 These include GDS, which has told us it plans to explain the Government’s approach to Identity services and their implications for departments, identity providers, and citizens, while two senior stakeholders from Whitehall will be co-delivering the main Government Keynote. These are the Deputy Director for Digital Identity at Department for Digital, Culture, Media & Sport (DCMS), Andrew Elliot, and the Head of Policy and Strategy for GOV.UK Verify at the Government Digital Service (GDS) itself, Lawrence Hopper. The event also features input from independent analysts, journalists and the ID vendor community, who tell us now is the perfect time to be thinking about the future of Digital Identity. “Our unique asset is our Identity,” points out Carol Tullo, Senior Consultant and Legal Counsel at data privacy specialist The Trust Bridge, when asked why she thinks now is a good time to participate in a Digital Identity community get-together. “Six months ago, we ran a Digital Identity conference that focused clearly on the ethics, strategy and policy behind public sector digital identity,” says Matt Stanley, Director of the company curating the event, Think Digital Partners. “Our delegates fed back very positively regarding our day in May, but made clear next time we needed to get more public sector speakers to share their experiences and insight. “The result: our November 29th event, which has speakers from DWP, HMRC, DVLA, BBC, GDS, DCMS and NHS Digital, who all be sharing insights into real-life delivery of Identity projects. Stanley confirms that 200-plus public sector Identity, data and security professionals are registered to attend from nearly 70 different central and local government departments – with interest from public sector departments across Europe (and wider), with attendees registered from France, Norway, Denmark, Estonia, Ireland and Nigeria. Please go here to check out the very full agenda, here to find out logistics details on the highly-convenient Westminster venue for your day, which starts at 8.45am for coffee and ends at 4.00pm, and finally here for details on how to register – bearing in mind your place is FREE if you qualify as a public sector professional. We really hope to see you on the day!